Cameron Brown is an international speaker, songwriter, and community builder. His dinner (and so much more) series The Thriving Collective has become the go-to forum for powerful people who want to trade ideas about creativity and social innovation. During the course of our conversation, Cameron shares how he has used storytelling to build communities across the globe and much more. 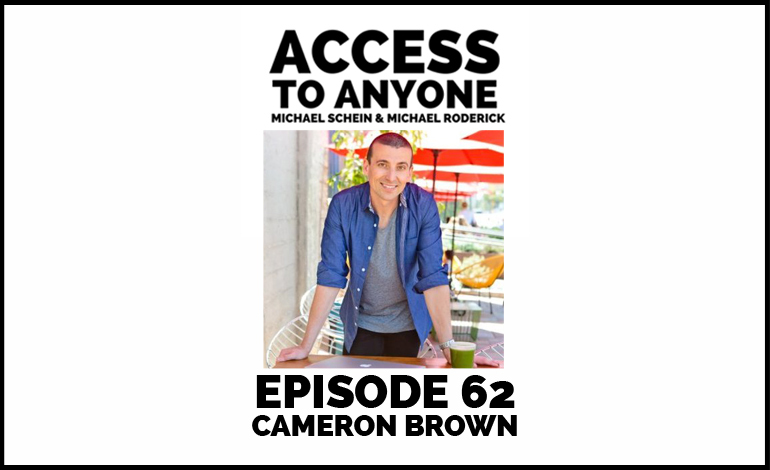 Cameron Brown has been fascinated by what contributes to true happiness and a life worth living, and how we can use that deeper level of understanding to thrive in today’s modern age. He is a keynote speaker, and his music and videos have reached millions of people in over 190 countries. Cameron also facilitates introductions and creates events and experiences around the world that connect our planet and the people within it. He runs invite-only peer network events in multiple locations in the US, Canada and Australia. He firmly believes that everyone deserves the opportunity to be happy, to live fully, to experience the world and genuinely feel like they’ve made a positive impact, no matter how big or small that is.